There's no shortage of material out there on how best to train dogs in the basics: to sit, stay, and come when called -- but some of the most valuable lessons on finding happiness through life's difficulties just might be the ones they can teach us in return. All too often, pets with disabilities are the last to be adopted, deemed undesirable for the special care they require. 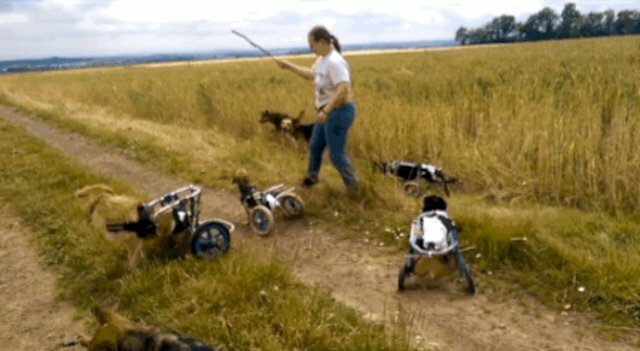 Thankfully, however, there are people like Gritta Götz, who runs an animal sanctuary in Lanzenhainer, Germany, there to give them a chance to live their lives to the fullest. And boy, do they ever.